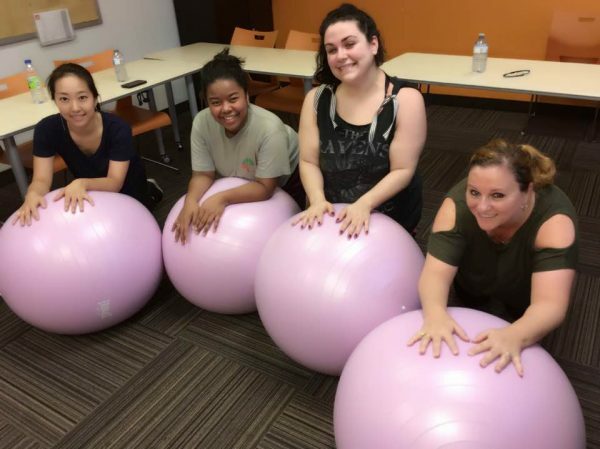 Where Can our EC Montreal Students Workout? Now that our nice summer days are gone, a lot of people are turning towards physical activities indoors, like gyms! In the past couple of days, we had quite a few students asking for information about gyms near the school. Luckily, EC Montreal is located in the city center, so there are many places to choose from. Here are a few to help our students get started in their research, at the same time encouraging them to go visit and even ask for a trial session, Many gyms offer a free trial, so students should not hesitate to ask! Just steps away from our school we have the Le Gym gym! It is situated at metro level- Guy Concordia metro station 1515 St. Catherine West. Its’ hours of operation are from Monday to Friday, 7 a.m. to 10 p.m., Saturday 9 a.m. to 7 p.m. and Sunday 9 a.m. to 9 p.m.
Then, just one metro station away from the school we have Energie Cardio, close to the Atwater metro station, located inside the Forum building: 2313, Saint-Catherine West. Two metro stations away, near McGill metro station is the Nautilius Plus gym: 1500, Ave. Mc.Gill College # 5. The opening hours are Monday to Friday: 6:00 a.m. – 10:00 p.m. Saturday- Sunday : 9:00 a.m. – 5:00 p.m.
Hope this is a helpful start in your search for a gym dear EC Montreal students! Please don’t forget, if you need letters of attestation to prove you are students to qualify for discounts just come to the office to ask! Also look for workout opportunities on the EC Montreal social events calendars. We try to include a sports activity every month. Keeping active helps you stay healthy, allows you to focus better on your learning and prevents homesickness. Learn English and French in Montreal! And workout!